Recently, I came across two postcards that were very very funny. Not so much because of the humor of the printed postcard but rather, because the written message was the punch line. Don’t you think its time to marry? 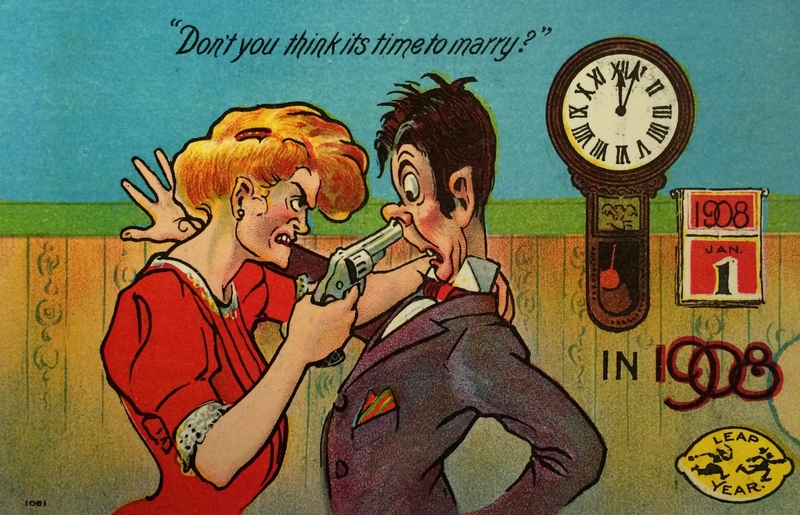 women who asked men to marry them were desperate, aggressive, and unfeminine.